Sluban India promises to bring smile on your child faces with exciting range of fun building block toys. It is one of the pioneer Educational Block Toys brand to offer theme based building blocks game for your kids. 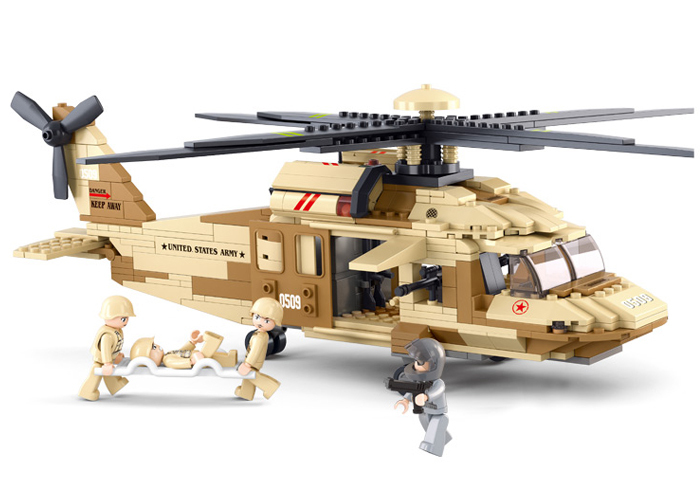 These block games are suitable for kids of six years of age and above. Sluban’s building blocks are compatible with all leading building blocks game offered by Educational Block Toys and other major toys brand. 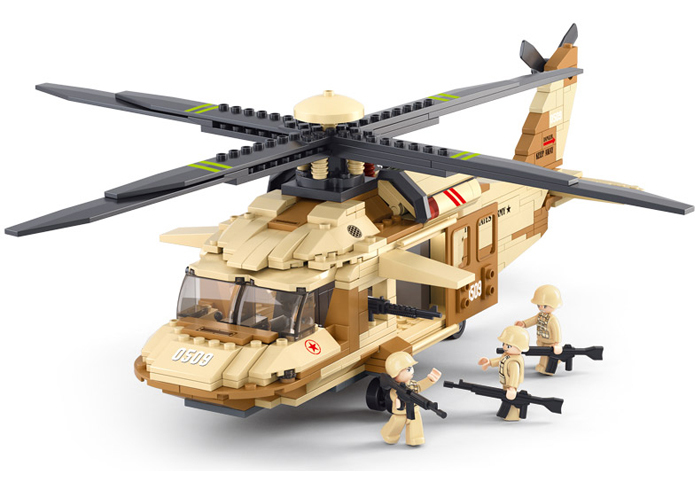 With Sluban Educational Block Toys Black Hawk Helicopter M38-B0509 see your child take on enemy with courage and vigor. 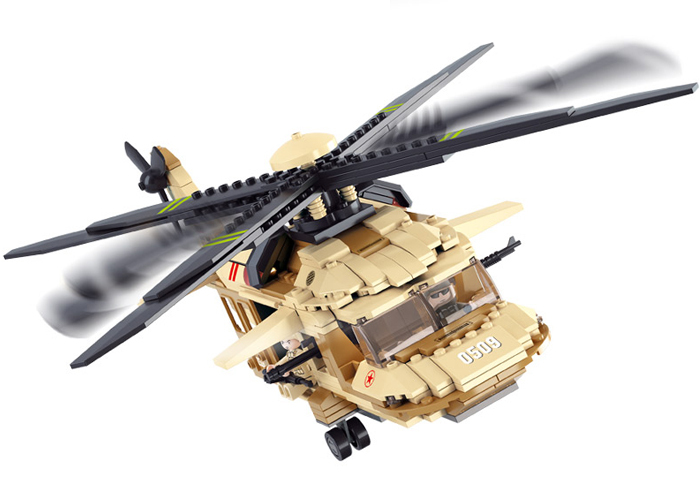 This Army helicopter contains 439 number of building blocks. 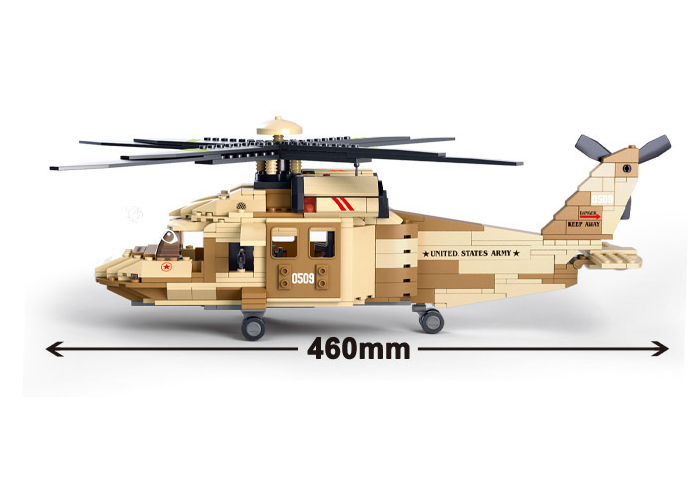 It is available in yellow and grey wings colors. Witness solid foundation of strength with inspiring and interesting games based on Army theme.